You've come to the right place if you are looking for wheelchair ramp rentals in the greater Richmond area. It makes sense to rent an aluminum accessibility ramp instead of buying one if you plan to use it temporarily. If you think you may need it beyond 9 months, it may be better to purchase a portable ramp. We offer both so we can meet all your wheelchair ramp needs. 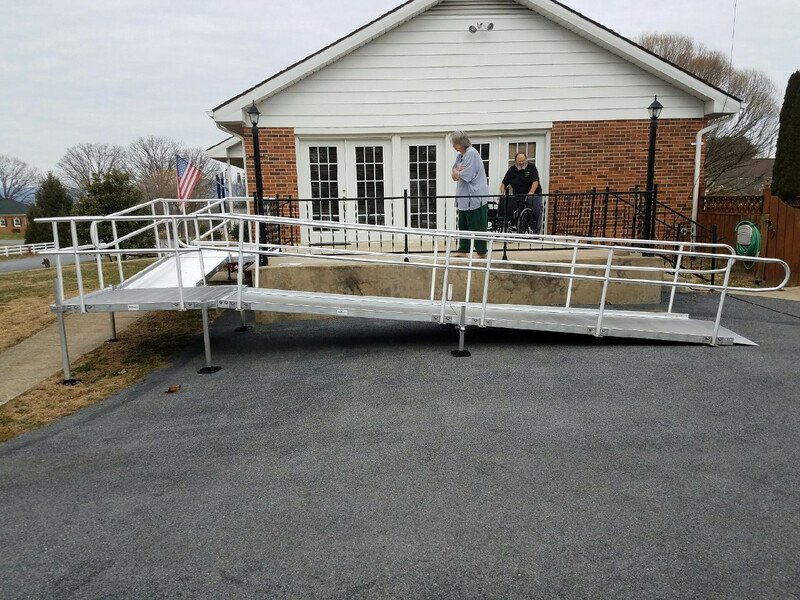 When you rent your wheelchair ramp from Richmond Ramps, you can be sure that they conform to the safety and accessibility construction regulations of the ADA (Americans With Disabilities Act). This law ensures that all handicapped individuals have the same opportunities as everyone else. Accessibility ramps are important for businesses and homes. But they need to conform to the ADA construction requirements so that they are safe and easy to use by those who are confined to a wheelchair. When you choose to rent your wheelchair ramp from Richmond Ramps, you can expect high-quality construction and installation.